Horror films are abundant in the world of fictional cinema. But even in the genre of documentary film, the straight forward depiction real life can be as terrifying as a Hollywood ghost story or a slasher flick. So, it doesn't matter on what the subject the film is about: an environmental crisis; a biodocumentary of a serial killer or a hitman; the making of High School Musical 1 through 10, (yeah I have insider information that they're going that high up in the franchise!-); the rise and fall of a particular cult; or whatever: What do you consider the scariest documentary you have ever seen? [+3] - Green Witch - 09/17/2009Just saw [i]Food Inc[/i]. - definitely will give you nightmares. Just saw Food Inc. - definitely will give you nightmares. I just watched a doc called '102 minutes that the changed the world'. There was a scene where the camera is focused on a few NY firemen's faces, the youngest, a baby faced kid, is in the middle, they're not taking but in the background you can hear a woman screaming, it gets louder, then ends with a bang. I can't get it out of my mind. I keep wondering if that young man went into the towers. It was scary for me cause it was filmed while I was in college in the town and the surrounding towns I lived in. A documentary about the "dying rooms" in China, where unwanted babies are simply left to slowly starve to death. Someone looks into the room every day or so just to see if the child was dead yet. I cannot express how horrible that was to watch, and it goes on to this day. What do you consider the scariest documentary you have ever seen? I can't believe people don't take the monster threat seriously. I take Mothra seriously, Joe, especially the music. Perhaps some of the newsreels that ran before films when I first went to the movies - but I don't suppose they count as documentaries, and if I got to review them now, I'd guess I'd probably find they had an upbeat narration. I have a faint memory of their showing me some real life stuff despite the coating. I believe the greatest gift the internet has given us is sites like youtube.com. Though I haven't looked for these news reels in which you write about, I guarantee you that someone has uploaded a good deal of them onto the youtube server. Thanks, Ts, I'll look for them. The documentary that inspired this thread was the enigmatic and visually stunning Manufactured Landscapes (2006). What makes it so scary is how beautiful it looks. Many scenes are beautiful if you don't know what you're looking at. Turn off the sound and your watching abstract landscapes with the florescent red rivers, etc.... However it documents the environmental disutopia that is the industrially developing world. When the narrator tells you what you're looking at ... sewrage and heavy metal polluted rivers and the remains of decades old coal mines, etc... then reality seeps into the real world. More effective as a scientific and social morality tale then An Inconvenient Truth. tsarstepan - I love Paranoia Agent BTW. Nice avatar. Someone on another forum asked in a thread for our top 10 favorite documentaries of this decade. Jonestown: The Life and Death of Peoples Temple (2006) was in the fourth position on my list. Though technically not scary in a Halloween sense, it's inevitable tragic outcome always made my skin crawl every time I watched it. It looks like the whole documentary is also uploaded onto Youtube as well. I'm just finishing watching another food based documentary/nightmare, The Future of Food (2004). Hopefully Food Inc. will be in DVD form at my rental store. I would like to watch it now. 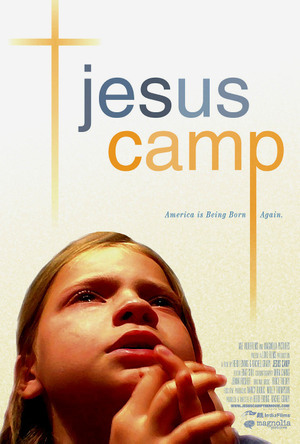 I'll grab a copy of Jesus Camp the next time I'm at the video store. Food Inc. is the better of the two. Bigger budget, more professional execution. If you like this type of documentary I also recommend King Korn, The Real Dirt On Farmer John, and Homegrown. I seem to recall you also do not have TV, you might want to join NetFlix. It's cheaper than most video store rentals and you can watch many things instantly on-line.